United Kingdom Gunner 292790 Royal Garrison Artillery 19/09/1917 I. B. 25. United Kingdom Lance Corporal 10912 Durham Light Infantry 24/07/1918 Age: 27 IV. C. 7. United Kingdom Second Lieutenant Royal Air Force 22/04/1918 Age: 24 IV. B. 19. United Kingdom Private 11108 Leicestershire Regiment 02/11/1917 III. A. 8. United Kingdom Private 31147 20th Hussars 27/09/1917 Age: 27 II. B. 18. United Kingdom Gunner 1777479 Royal Field Artillery 13/11/1917 Age: 32 III. A. 20. Canadian Acting Bombardier 185 Canadian Garrison Artillery 14/01/1918 Age: 21 III. B. 21. United Kingdom Private 16412 Durham Light Infantry 25/09/1917 II. B. 15. United Kingdom Gunner 49927 Royal Garrison Artillery 12/04/1918 Age: 21 IV. B. 11. United Kingdom Private 33220 York and Lancaster Regiment 03/12/1917 Age: 24 IV. A. 16. United Kingdom Private S/12747 Argyll and Sutherland Highlanders 29/09/1918 Age: 27 V. A. 16. United Kingdom Private 16767 Border Regiment 29/10/1917 III. A. 2. United Kingdom Private 44860 Yorkshire Regiment 30/11/1917 Age: 23 IV. A. 12. United Kingdom Private 7/12358 Leicestershire Regiment 20/10/1917 Age: 24 II. C. 12. United Kingdom Private 14893 Norfolk Regiment 07/10/1917 I. C. 24. United Kingdom Private 46367 Machine Gun Corps (Infantry) 18/10/1917 II. C. 8. United Kingdom Private 241049 Black Watch (Royal Highlanders) 28/05/1918 III. C. 15. United Kingdom Private 13144 York and Lancaster Regiment 25/09/1917 II. B. 14. United Kingdom Private 203300 South Staffordshire Regiment 30/08/1917 Age: 20 II. A. 4. United Kingdom Private 22608 Northumberland Fusiliers 09/11/1917 III. A. 16. United Kingdom Gunner 80681 Royal Garrison Artillery 12/04/1918 Age: 32 IV. B. 15. United Kingdom Private 49632 The King's (Liverpool Regiment) 26/08/1917 I. A. 22. United Kingdom Private 27818 Manchester Regiment 11/12/1917 Age: 28 IV. A. 24. United Kingdom Private 8166 The Loyal North Lancashire Regiment 11/08/1918 Age: 29 IV. C. 14. United Kingdom Private 14995 Lincolnshire Regiment 23/11/1917 Age: 23 IV. A. 4. United Kingdom Serjeant 301214 Argyll and Sutherland Highlanders 19/09/1918 Age: 28 V. A. 10. United Kingdom Driver 21556 Royal Engineers 04/12/1917 Age: 25 IV. A. 19. United Kingdom Lance Corporal 202158 Lincolnshire Regiment 04/11/1917 Age: 20 III. A. 10. Canadian Private 439366 Canadian Infantry (Manitoba Regiment) 04/09/1917 II. A. 19. Canadian Private 830041 Canadian Army Service Corps 01/12/1917 IV. A. 14. United Kingdom Private S/41031 Argyll and Sutherland Highlanders 19/09/1918 Age: 30 V. A. 11. Canadian Private 679023 Canadian Infantry (Central Ontario Regiment) 12/09/1917 Age: 25 I. B. 13. United Kingdom Gunner 128772 Royal Garrison Artillery 27/08/1917 II. A. 1. United Kingdom Private 18928 Lincolnshire Regiment 26/10/1917 Age: 24 III. A. 1. Canadian Corporal 443145 Canadian Infantry (Central Ontario Regiment) 11/09/1917 I. B. 15. Canadian Private 826086 2nd Canadian Mounted Rifles (British Columbia Regiment) 01/09/1917 Age: 27 II. A. 11. United Kingdom 2nd Corporal 202695 Royal Engineers 30/08/1917 II. A. 10. Canadian Private 526688 Canadian Army Medical Corps 20/09/1917 Age: 29 II. B. 9. United Kingdom Serjeant 11880 Royal Garrison Artillery 12/04/1918 IV. B. 14. United Kingdom Private 35342 North Staffordshire Regiment 30/10/1917 III. A. 4. United Kingdom Private 25438 Dorsetshire Regiment 04/11/1917 Age: 27 III. A. 11. Canadian Private 126631 Canadian Infantry (Manitoba Regiment) 17/09/1917 I. B. 24. United Kingdom Private 240106 Black Watch (Royal Highlanders) 26/08/1918 Age: 22 IV. C. 19. United Kingdom Gunner 173709 Royal Garrison Artillery 19/05/1918 Age: 39 III. C. 10. United Kingdom Private 235069 Leicestershire Regiment 12/11/1917 Age: 21 III. A. 19. United Kingdom Sapper 139878 Royal Engineers 07/09/1917 I. B. 3. United Kingdom Gunner 131483 Royal Field Artillery 16/09/1917 Age: 28 II. B. 2. Canadian Corporal 116199 Canadian Infantry (British Columbia Regiment) 23/08/1917 Age: 24 I. A. 9. South African Major South African Heavy Artillery 12/04/1918 Age: 38 IV. B. 16. United Kingdom Private 39754 Gloucestershire Regiment 13/06/1918 III. C. 21. United Kingdom Pioneer 130089 Royal Engineers 06/11/1917 III. A. 14. Canadian Acting Bombardier 91578 Canadian Field Artillery 09/09/1917 Age: 18 I. B. 10. United Kingdom Gunner 308303 Royal Garrison Artillery 22/08/1918 IV. C. 18. United Kingdom Lance Corporal 270026 Argyll and Sutherland Highlanders 19/09/1918 V. A. 13. United Kingdom Private 13010 The Buffs (East Kent Regiment) 17/10/1917 Age: 22 II. C. 5. United Kingdom Private 202114 Gloucestershire Regiment 23/10/1917 II. C. 19. United Kingdom Private 300680 Argyll and Sutherland Highlanders 03/10/1918 Age: 24 V. A. 18. United Kingdom Private 13605 Lancashire Fusiliers 03/12/1917 Age: 24 IV. A. 17. United Kingdom Lance Corporal 41864 West Yorkshire Regiment (Prince of Wales's Own) 06/10/1917 I. C. 23. Canadian Lance Sergeant 678241 Canadian Infantry (Central Ontario Regiment) 20/12/1917 Age: 27 III. B. 10. United Kingdom Private 36693 Cameronians (Scottish Rifles) 08/09/1918 IV. C. 21. United Kingdom Second Lieutenant Royal Field Artillery 24/09/1917 II. B. 13. United Kingdom Private 36027 The Loyal North Lancashire Regiment 11/08/1918 Age: 34 IV. C. 16. United Kingdom Gunner 66144 Royal Garrison Artillery 21/04/1918 Age: 30 IV. B. 17. Canadian Bombardier 5952 Royal Canadian Horse Artillery 02/09/1917 II. A. 17. Canadian Private 754196 Canadian Infantry (Manitoba Regiment) 23/08/1917 Age: 25 I. A. 13. United Kingdom Lance Corporal 18462 Norfolk Regiment 03/10/1917 I. C. 8. United Kingdom Corporal 319984 Durham Light Infantry 20/10/1917 II. C. 15. United Kingdom Private 36769 Gloucestershire Regiment 29/04/1918 Age: 21 III. C. 1. United Kingdom Lance Corporal 52610 Manchester Regiment 23/11/1917 Age: 24 IV. A. 6. United Kingdom Acting Bombardier 46774 Royal Field Artillery 16/09/1917 Age: 20 II. B. 7. Canadian Gunner 41435 Canadian Field Artillery 23/08/1917 Age: 31 I. A. 6. United Kingdom Private 13874 The Buffs (East Kent Regiment) 31/08/1917 II. A. 8. United Kingdom Private 17198 Dorsetshire Regiment 14/12/1917 Age: 21 III. B. 5. United Kingdom Private 203643 Leicestershire Regiment 22/10/1917 Age: 25 II. C. 21. United Kingdom Private 38014 Cameronians (Scottish Rifles) 05/09/1918 IV. C. 20. Canadian Private 865923 Canadian Infantry (Manitoba Regiment) 16/09/1917 I. B. 20. United Kingdom Private 55301 Essex Regiment 26/12/1918 VI. A. 2. United Kingdom Private 242180 Leicestershire Regiment 05/11/1917 III. A. 13. United Kingdom Private 44647 Royal Army Medical Corps 13/05/1918 Age: 22 III. C. 4. United Kingdom Private S/15993 Black Watch (Royal Highlanders) 11/10/1918 Age: 26 VI. A. 1. United Kingdom Bombardier 52877 Royal Horse Artillery 20/09/1917 Age: 26 II. B. 10. United Kingdom Lance Corporal 3859 Manchester Regiment 02/01/1918 Age: 22 III. B. 16. United Kingdom Private 43874 Suffolk Regiment 01/11/1917 III. A. 9. Canadian Private 229340 Canadian Infantry (New Brunswick Regiment) 07/09/1917 Age: 21 I. B. 2. United Kingdom Private S/16510 Black Watch (Royal Highlanders) 28/05/1918 III. C. 14. United Kingdom Private 15393 Norfolk Regiment 02/10/1917 I. C. 7. United Kingdom Private 240268 Leicestershire Regiment 28/12/1917 III. B. 15. United Kingdom Private 3/2698 Black Watch (Royal Highlanders) 28/05/1918 III. C. 19. Canadian Private 904091 Canadian Infantry (Alberta Regiment) 27/08/1917 Age: 21 I. A. 24. United Kingdom Gunner 175545 Royal Garrison Artillery 19/05/1918 Age: 25 III. C. 11. Canadian Lance Corporal 784180 Canadian Infantry (Quebec Regiment) 23/08/1917 Age: 35 I. A. 3. United Kingdom Pioneer 197199 Royal Engineers 05/10/1917 I. C. 18. United Kingdom Driver 20865 Royal Engineers 03/09/1917 Age: 27 II. A. 14. United Kingdom Gunner 118459 Royal Garrison Artillery 19/05/1918 III. C. 8. Canadian Lieutenant Canadian Infantry (Eastern Ontario Regiment) 11/09/1917 Age: 37 I. B. 12. United Kingdom Private 21654 King's Own Scottish Borderers 11/10/1918 Age: 28 V. A. 19. United Kingdom Private 266576 Northumberland Fusiliers 07/11/1917 III. A. 15. United Kingdom Lieutenant Essex Regiment 04/09/1917 Age: 26 II. A. 21. United Kingdom Gunner 131903 Royal Garrison Artillery 12/12/1917 Age: 34 III. B. 3. Canadian Gunner 300757 Canadian Field Artillery 30/09/1917 Age: 26 II. B. 24. United Kingdom Second Lieutenant Royal Field Artillery 17/09/1918 Age: 32 V. A. 5. United Kingdom Bombardier 47696 Royal Field Artillery 18/10/1917 II. C. 9. 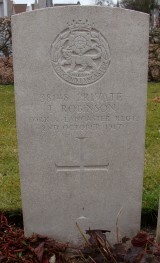 United Kingdom Private 14676 York and Lancaster Regiment 23/11/1917 Age: 23 IV. A. 7. United Kingdom Private 13337 The Buffs (East Kent Regiment) 17/10/1917 Age: 31 II. C. 6. United Kingdom Private S/18311 Black Watch (Royal Highlanders) 28/05/1918 III. C. 16. United Kingdom Gunner 820259 Royal Field Artillery 10/11/1917 Age: 22 III. A. 17. United Kingdom Private 23955 South Staffordshire Regiment 24/12/1917 III. 12. United Kingdom Second Lieutenant Royal Scots 15/09/1918 Age: 38 V. A. 4. Canadian Private 754303 Canadian Infantry (Manitoba Regiment) 24/08/1917 Age: 19 I. A. 12. United Kingdom Private 33018 West Yorkshire Regiment (Prince of Wales's Own) 27/04/1918 IV. B. 21. United Kingdom Private 26450 Oxford and Bucks Light Infantry 08/09/1917 Age: 32 I. B. 5. United Kingdom Private 303552 Manchester Regiment 11/12/1917 Age: 31 III. B. 1. Canadian Private 477332 Royal Canadian Regiment 23/08/1917 I. A. 8. United Kingdom Private 16219 Duke of Wellington's (West Riding Regiment) 18/12/1917 III. B. 7. United Kingdom Serjeant 58534 Royal Field Artillery 16/09/1917 Age: 25 II. B. 4. United Kingdom Private 35288 Leicestershire Regiment 22/10/1917 II. C. 17. United Kingdom Lieutenant Suffolk Regiment 31/10/1917 Age: 29 III. A. 5. United Kingdom Private 41404 Yorkshire Regiment 15/05/1918 Age: 26 III. C. 7. United Kingdom Private 41280 Lancashire Fusiliers 25/10/1917 II. C. 24. Canadian Private 129204 Canadian Infantry (British Columbia Regiment) 15/09/1917 I. B. 17. United Kingdom Gunner 285403 Royal Garrison Artillery 13/11/1917 III. A. 21. United Kingdom Private 30405 Durham Light Infantry 04/10/1917 Age: 26 I. C. 20. United Kingdom Bombardier 23640 Royal Field Artillery 16/09/1917 Age: 26 II. B. 8. Canadian Private 805061 Canadian Infantry (Central Ontario Regiment) 02/09/1917 II. A. 16. United Kingdom Private 57144 West Yorkshire Regiment (Prince of Wales's Own) 15/05/1918 III. C. 6. United Kingdom Gunner 116099 Royal Field Artillery 19/11/1917 IV. A. 1. United Kingdom Private 15378 York and Lancaster Regiment 25/07/1918 Age: 40 IV. C. 6. United Kingdom Driver 37774 Royal Engineers 23/04/1918 Age: 21 IV. B. 20. United Kingdom Private 350976 Argyll and Sutherland Highlanders 03/10/1918 Age: 37 V. A. 17. Canadian Private 282158 Canadian Infantry (Quebec Regiment) 23/08/1917 Age: 17 I. A. 5. United Kingdom Private M/284538 Army Service Corps 21/03/1918 IV. B. 8. United Kingdom Lance Corporal 24028 Royal Engineers 30/09/1917 Age: 21 II. B. 21. United Kingdom Private 201279 Black Watch (Royal Highlanders) 28/05/1918 Age: 30 III. C. 18. United Kingdom Private 319341 Durham Light Infantry 02/09/1917 Age: 24 II. A. 15. United Kingdom Private 45406 South Staffordshire Regiment 30/11/1917 Age: 21 IV. A. 11. United Kingdom Private 268504 Sherwood Foresters (Notts and Derby Regiment) 30/11/1917 IV. A. 13. United Kingdom Lance Corporal 201793 South Staffordshire Regiment 25/10/1917 II. C. 25. United Kingdom Acting Bombardier 69233 Royal Field Artillery 08/09/1917 Age: 25 I. B. 8. Canadian Private 781718 Canadian Infantry (Saskatchewan Regiment) 23/08/1917 Age: 26 I. A. 1. Canadian Corporal 648399 4th Canadian Mounted Rifles (Central Ontario Regiment) 06/01/1918 Age: 24 III. B. 19. United Kingdom Private M2/018602 Army Service Corps 30/04/1918 IV. B. 23. United Kingdom Lance Corporal 43041 Durham Light Infantry 25/09/1917 Age: 28 II. B. 17. United Kingdom Gunner 836653 Royal Field Artillery 18/10/1917 Age: 20 II. C. 7. United Kingdom Gunner 1677 Royal Field Artillery 16/09/1917 Age: 40 II. B. 1. United Kingdom Private 92180 Sherwood Foresters (Notts and Derby Regiment) 12/12/1917 III. B. 2. United Kingdom Private 13147 South Lancashire Regiment 30/09/1917 II. B. 23. Canadian Gunner 315883 Canadian Field Artillery 19/12/1917 Age: 18 III. B. 9. United Kingdom Private 20587 The Loyal North Lancashire Regiment 11/08/1918 Age: 45 IV. C. 12. United Kingdom Lieutenant Royal Field Artillery 05/10/1917 Age: 26 I. C. 19. Canadian Private 267814 Canadian Infantry (Saskatchewan Regiment) 15/09/1917 I. B. 19. United Kingdom Sapper 259515 Royal Engineers 16/09/1918 Age: 21 V. A. 7. United Kingdom Private 2830 London Regiment 09/06/1915 Age: 19 VI. A. 3. United Kingdom Serjeant 241872 Cameronians (Scottish Rifles) 29/09/1918 Age: 20 V. A. 14. United Kingdom Lance Corporal 235271 Cameronians (Scottish Rifles) 29/09/1918 Age: 23 V. A. 15. United Kingdom Serjeant 20351 Yorkshire Regiment 15/12/1917 Age: 28 III. B. 6. United Kingdom Lance Corporal 200346 North Staffordshire Regiment 18/12/1917 Age: 30 III. B. 8. United Kingdom Private S/24072 Black Watch (Royal Highlanders) 28/05/1918 III. C. 17. Canadian Private 231689 Canadian Infantry (Alberta Regiment) 02/10/1917 Age: 33 I. C. 11. Canadian Private 904726 Canadian Infantry (Alberta Regiment) 03/10/1917 Age: 34 I. C. 17. United Kingdom Private 203121 Dorsetshire Regiment 20/12/1917 Age: 25 III. B. 11. United Kingdom Private 19513 Royal Scots 12/09/1918 Age: 19 V. A. 3. United Kingdom Private 21039 York and Lancaster Regiment 25/07/1918 IV. C. 8. United Kingdom Private 32147 King's Shropshire Light Infantry 26/09/1917 Age: 31 II. B. 19. United Kingdom Private 24379 King's Shropshire Light Infantry 16/10/1917 II. C. 4. United Kingdom Lance Corporal 40455 Lincolnshire Regiment 03/12/1917 Age: 34 IV. A. 15. United Kingdom Private 36051 Cameronians (Scottish Rifles) 13/09/1918 Age: 19 V. A. 1. Canadian Private 438681 Canadian Infantry (Manitoba Regiment) 07/09/1917 Age: 23 I. B. 4. Canadian Private 799144 Canadian Infantry (Central Ontario Regiment) 25/08/1917 I. A. 17. United Kingdom Private 300869 Argyll and Sutherland Highlanders 19/09/1918 V. A. 8. Canadian Private 644482 Canadian Infantry (Central Ontario Regiment) 28/12/1917 Age: 21 III. B. 14. United Kingdom Private 17013 South Staffordshire Regiment 16/03/1918 IV. B. 7. United Kingdom Private 17939 King's Shropshire Light Infantry 18/10/1917 Age: 21 II. C. 10. Canadian Lance Corporal 766613 Canadian Pioneers 31/08/1917 Age: 28 II. A. 7. United Kingdom Private 14422 Lincolnshire Regiment 21/11/1917 IV. A. 2. United Kingdom Private 240328 Lincolnshire Regiment 02/11/1917 III. A. 7. Canadian Lance Corporal 637169 Canadian Infantry (Eastern Ontario Regiment) 11/09/1917 I. B. 11. Canadian Private 865155 Canadian Infantry (Manitoba Regiment) 27/08/1917 Age: 19 I. A. 20. 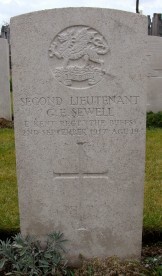 United Kingdom Second Lieutenant Royal Field Artillery 08/09/1917 Age: 27 I. B. 9. Canadian Private 291446 1st Canadian Mounted Rifles (Saskatchewan Regiment) 14/01/1918 III. B. 20. Canadian Gunner 91090 Canadian Field Artillery 16/01/1918 Age: 22 III. B. 23. United Kingdom Lance Serjeant 30569 Yorkshire Regiment 30/11/1917 Age: 27 IV. A. 10. United Kingdom Gunner 84503 Royal Garrison Artillery 19/05/1918 III. C. 9. United Kingdom Sapper 472076 Royal Engineers 26/04/1918 IV. B. 22. United Kingdom Private 204512 Sherwood Foresters (Notts and Derby Regiment) 08/12/1917 Age: 38 IV. A. 23. United Kingdom Corporal 86350 Royal Engineers 26/09/1917 Age: 35 I. C. 12. United Kingdom Driver T3/029287 Army Service Corps 03/10/1917 I. C. 14. Canadian Private 910059 1st Canadian Mounted Rifles (Saskatchewan Regiment) 23/08/1917 Age: 23 I. A. 4. Canadian Private 2095 Canadian Infantry (Central Ontario Regiment) 13/03/1918 IV. B. 5. Canadian Private 678621 Canadian Infantry (Central Ontario Regiment) 26/12/1917 III. B. 13. United Kingdom Lieutenant Royal Scots 13/09/1918 Age: 22 V. A. 2. Canadian Corporal 472951 Canadian Infantry (Central Ontario Regiment) 07/09/1917 Age: 20 I. B. 1. Canadian Private 727616 Canadian Infantry (Central Ontario Regiment) 04/09/1917 II. A. 20. United Kingdom Serjeant 201726 South Staffordshire Regiment 21/10/1917 Age: 24 II. C. 18. Canadian Private 895497 Canadian Infantry (Alberta Regiment) 29/09/1917 Age: 24 II. B. 22. United Kingdom Driver 488048 Royal Engineers 24/08/1917 I. A. 14. United Kingdom Private 23162 The Loyal North Lancashire Regiment 11/08/1918 Age: 41 IV. C. 13. United Kingdom Private G/18625 Royal Sussex Regiment 28/04/1918 Age: 19 III. C. 3. United Kingdom Sapper 79897 Royal Engineers 24/05/1918 Age: 23 III. C. 12. Canadian Private 1015476 Canadian Infantry (British Columbia Regiment) 25/08/1917 Age: 32 I. A. 16. Canadian Private 195620 5th Canadian Mounted Rifles (Quebec Regiment) 23/08/1917 I. A. 10. Canadian Private 1000223 Canadian Infantry (Manitoba Regiment) 16/09/1917 I. B. 23. United Kingdom Private 12218 Essex Regiment 11/10/1917 Age: 42 II. C. 1. United Kingdom 2nd Corporal 101543 Royal Engineers 24/10/1917 Age: 24 II. C. 23. United Kingdom Private 25054 King's Shropshire Light Infantry 15/10/1917 II. C. 3. Canadian Lieutenant Canadian Infantry (Manitoba Regiment) 16/09/1917 Age: 23 I. B. 21. United Kingdom Serjeant S/4125 Argyll and Sutherland Highlanders 19/09/1918 Age: 31 V. A. 9. United Kingdom Private 202174 South Staffordshire Regiment 21/10/1917 II. C. 16. United Kingdom Private 39463 Northumberland Fusiliers 30/10/1917 III. A. 6. Canadian Private 16451 Canadian Infantry Brigade 26/08/1917 I. A. 11. United Kingdom Sapper 478116 Royal Engineers 26/09/1917 II. B. 16. United Kingdom Private 204470 King's Shropshire Light Infantry 03/10/1917 I. C. 4. Canadian Acting Bombardier 476806 Canadian Field Artillery 24/08/1917 Age: 27 I. A. 15. United Kingdom Corporal 7987 West Yorkshire Regiment (Prince of Wales's Own) 16/06/1918 IV. C. 3. Canadian Private 186652 Canadian Infantry (Manitoba Regiment) 11/09/1917 Age: 45 I. 14. 8. United Kingdom Private 13223 West Yorkshire Regiment (Prince of Wales's Own) 16/06/1918 Age: 25 IV. C. 2. United Kingdom Private 204972 Yorkshire Regiment 16/06/1918 Age: 29 IV. C. 1. United Kingdom Private S/24590 Argyll and Sutherland Highlanders 19/09/1918 Age: 18 V. A. 12. United Kingdom Private 2/21193 York and Lancaster Regiment 03/10/1917 I. C. 16. United Kingdom Rifleman 3503 King's Royal Rifle Corps 11/08/1918 IV. C. 17. United Kingdom Gunner 66798 Royal Garrison Artillery 06/09/1917 Age: 22 II. A. 24. United Kingdom Second Lieutenant Royal Flying Corps 15/09/1917 Age: 20 I. B. 18. Canadian Private 826536 2nd Canadian Mounted Rifles (British Columbia Regiment) 31/08/1917 Age: 30 II. A. 6. United Kingdom Lance Corporal 4089 Machine Gun Corps (Infantry) 30/09/1917 I. C. 1. United Kingdom Private 260048 North Staffordshire Regiment 31/08/1917 Age: 27 II. A. 9. United Kingdom Lance Corporal 241531 Leicestershire Regiment 05/12/1917 Age: 30 IV. A. 20. United Kingdom Private 23269 Essex Regiment 12/10/1917 II. C. 2. United Kingdom Private 21396 Lincolnshire Regiment 07/12/1917 Age: 28 IV. A. 22. Canadian Private 817525 Princess Patricia's Canadian Light Infantry (Eastern Ontario Regiment) 29/08/1917 II. A. 5. United Kingdom Company Quartermaster Serjeant 3/12269 The King's (Liverpool Regiment) 20/01/1918 Age: 53 IV. B. 2. United Kingdom Lance Corporal 156111 Royal Engineers 16/11/1917 III. A. 22. Canadian Private 231093 Canadian Infantry (Alberta Regiment) 05/10/1917 I. C. 21. Canadian Corporal 282758 Canadian Infantry (Nova Scotia Regiment) 13/09/1917 Age: 24 I. B. 16. United Kingdom Private 40150 Norfolk Regiment 06/09/1917 II. A. 23. United Kingdom Second Lieutenant Royal Field Artillery 17/09/1918 Age: 29 V. A. 6. United Kingdom Sapper 148634 Royal Engineers 26/04/1918 Age: 24 III. C. 2. United Kingdom Sapper 146513 Royal Engineers 12/03/1918 Age: 29 IV. B. 6. Canadian Sergeant 132105 Canadian Infantry (Quebec Regiment) 06/10/1917 Age: 34 I. C. 25. United Kingdom Private 54892 Machine Gun Corps (Infantry) 01/10/1917 Age: 19 I. C. 2. United Kingdom Gunner 43338 Royal Horse Artillery 21/09/1917 II. B. 11. Canadian Private 754797 Canadian Infantry (Manitoba Regiment) 26/08/1917 Age: 20 I. A. 19. Canadian Private 132505 Canadian Infantry (Quebec Regiment) 02/02/1918 Age: 27 IV. B. 4. Canadian Private 164614 Canadian Infantry (Quebec Regiment) 28/08/1917 Age: 37 II. A. 3. United Kingdom Driver 1478 Royal Field Artillery 23/10/1917 Age: 26 II. C. 22. United Kingdom Private 20990 York and Lancaster Regiment 25/07/1918 Age: 23 IV. C. 9. United Kingdom Private 37857 West Yorkshire Regiment (Prince of Wales's Own) 15/05/1918 III. C. 5. United Kingdom Fitter Staff Serjeant 71951 Royal Garrison Artillery 12/04/1918 IV. B. 12. United Kingdom Private 38148 York and Lancaster Regiment 02/10/1917 Age: 32 I. C. 6. United Kingdom Second Lieutenant Royal Engineers 27/05/1918 Age: 30 III. C. 13. Canadian Private 1024057 Canadian Infantry (Central Ontario Regiment) 03/09/1917 Age: 19 II. A. 18. United Kingdom Corporal 317753 Norfolk Regiment 02/10/1917 Age: 19 I. C. 10. United Kingdom Bombardier 93057 Royal Field Artillery 26/11/1917 Age: 28 IV. A. 8. United Kingdom Gunner 82931 Royal Garrison Artillery 12/04/1918 IV. B. 13. 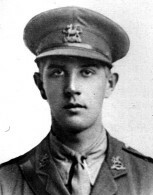 United Kingdom Second Lieutenant The Buffs (East Kent Regiment) 02/09/1917 Age: 19 II. A. 13. United Kingdom Sapper 86169 Royal Engineers 26/09/1917 Age: 33 I. C. 13. United Kingdom Second Lieutenant Royal Air Force 22/04/1918 Age: 28 IV. B. 18. United Kingdom Private 20845 York and Lancaster Regiment 25/07/1918 IV. C. 10. United Kingdom Gunner 97774 Royal Garrison Artillery 01/06/1918 Age: 29 III. C. 20. Canadian Bombardier 300264 Canadian Field Artillery 01/01/1918 Age: 27 III. B. 17. United Kingdom Sapper 178152 Royal Engineers 19/07/1918 IV. C. 5. United Kingdom Lance Corporal 70686 Sherwood Foresters (Notts and Derby Regiment) 23/10/1917 II. C. 20. United Kingdom Gunner 216054 Royal Field Artillery 16/09/1917 II. B. 6. United Kingdom Sapper 79728 Royal Engineers 23/11/1917 Age: 33 IV. A. 5. Canadian Private 136139 2nd Canadian Mounted Rifles (British Columbia Regiment) 27/08/1917 Age: 21 I. A. 23. United Kingdom Gunner 65594 Royal Garrison Artillery 12/04/1918 Age: 22 IV. B. 10. 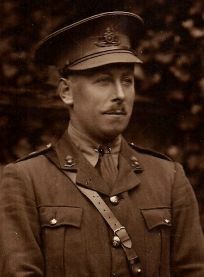 United Kingdom Captain Monmouthshire Regiment 02/10/1917 Age: 33 I. C. 5. United Kingdom Corporal 27849 Durham Light Infantry 28/09/1917 Age: 20 II. B. 20. United Kingdom Private 8519 The Loyal North Lancashire Regiment 11/08/1918 IV. C. 15. United Kingdom Lance Corporal 240156 Lincolnshire Regiment 30/10/1917 Age: 21 III. A. 3. United Kingdom Private 266546 Northumberland Fusiliers 07/12/1917 Age: 23 IV. A. 21. United Kingdom Private 25096 West Yorkshire Regiment (Prince of Wales's Own) 28/08/1917 II. A. 2. United Kingdom Private 2711233 Northumberland Fusiliers 03/12/1917 Age: 21 IV. A. 18. United Kingdom Gunner 157409 Royal Garrison Artillery 23/08/1917 Age: 23 I. A. 2. Canadian Private 820314 Canadian Infantry (Manitoba Regiment) 15/01/1918 III. B. 22. United Kingdom Serjeant 486249 Royal Engineers 20/10/1917 II. C. 11. Canadian Private 886556 Canadian Infantry (Alberta Regiment) 27/08/1917 I. A. 21. United Kingdom Private 59919 Sherwood Foresters (Notts and Derby Regiment) 04/11/1917 III. A. 12. United Kingdom Armament Staff Serjeant 1539 Royal Army Ordnance Corps 16/06/1918 IV. C. 4. Canadian Private 904505 Canadian Infantry (Alberta Regiment) 23/08/1917 Age: 20 I. A. 7. United Kingdom Private 21510 York and Lancaster Regiment 25/07/1918 IV. C. 11. United Kingdom Gunner 281545 Royal Garrison Artillery 12/11/1917 III. A. 18. United Kingdom Private 17704 Leicestershire Regiment 21/10/1917 Age: 32 II. C. 13. United Kingdom Private 327415 Suffolk Regiment 20/10/1917 II. C. 14. Canadian Private 706497 Canadian Infantry (Central Ontario Regiment) 08/09/1917 Age: 23 I. B. 6. Canadian Private 252726 Canadian Infantry (Alberta Regiment) 01/10/1917 I. C. 3. United Kingdom Private 201325 Lincolnshire Regiment 20/01/1918 IV. B. 3. United Kingdom Private 17299 Royal Fusiliers 20/01/1918 Age: 26 IV. B. 1. United Kingdom Gunner 108044 Royal Field Artillery 23/09/1917 II. B. 12. United Kingdom Private 242545 Lincolnshire Regiment 13/12/1917 Age: 21 III. B. 4. United Kingdom Gunner 89291 Royal Field Artillery 16/09/1917 II. B. 3. United Kingdom Private 89896 Machine Gun Corps (Infantry) 01/09/1917 Age: 24 II. A. 12. United Kingdom Second Lieutenant Sherwood Foresters (Notts and Derby Regiment) 22/11/1917 Age: 19 IV. A. 3. United Kingdom Private 19329 Worcestershire Regiment 26/11/1917 IV. A. 9. 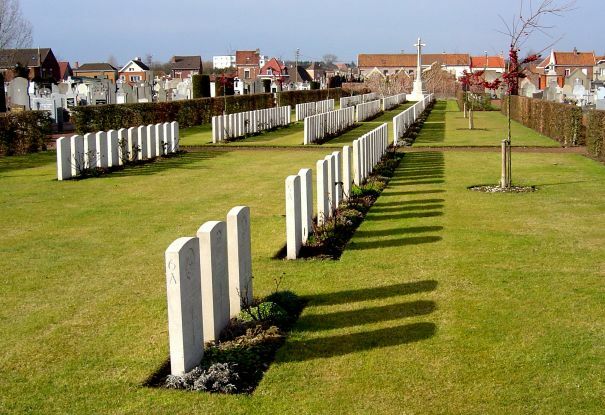 United Kingdom Private 270252 Royal Scots 12/09/1918 Age: 20 IV. C. 22. United Kingdom Corporal 44886 Royal Field Artillery 16/09/1917 II. B. 5. United Kingdom Private 29974 Norfolk Regiment 03/10/1917 I. C. 9. Canadian Private 488288 Royal Canadian Regiment 06/01/1918 Age: 22 III. B. 18. Canadian Private 121694 5th Canadian Mounted Rifles (Quebec Regiment) 25/08/1917 I. A. 18. United Kingdom Private 16184 South Lancashire Regiment 03/10/1917 Age: 31 I. C. 15. Canadian Private 693107 Canadian Infantry (Manitoba Regiment) 16/09/1917 Age: 24 I. B. 22. United Kingdom Private 11860 Durham Light Infantry 04/10/1917 I. C. 22. United Kingdom Private 19760 West Yorkshire Regiment (Prince of Wales's Own) 09/09/1917 Age: 22 I. B. 7. United Kingdom Gunner 277128 Royal Garrison Artillery 12/04/1918 IV. B. 9.